Ushering audiences into a worship experience grounded in lyrical authenticity and musical originality, Jonathan Tekell’s songs are inspirational and uplifting. Among such songs is “God You are Holy,” a praise and worship song infused with a modern sound that proclaims the glory of God through a realization of His holiness. 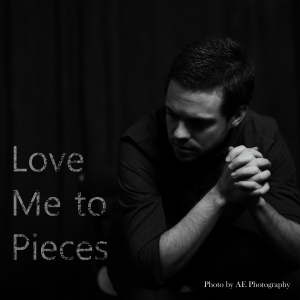 Having been influenced by music from a young age, Jonathan feels God prompting him to use music as “a tool to stir people in their faith.” He explains, “My desire with my new album ‘Love Me to Pieces’ was to write for a very broad audience, so that anyone in any stage of life might be encouraged and drawn closer to Jesus.” The name for the album was created from the beautiful imagery of how God brings wholeness from the place of brokenness. Jonathan shares that he has felt this brokenness in more ways than one. Though he injured his wrist, which required surgery, he still felt God calling him to music, and the musical ministry he now leads brings others healing and hope. In addition, his play on words for “pieces” refers to the many different parts of the Body of Christ and the diverse “pieces” of music that makeup the album. In the face of rampant cultural tension and division, Jonathan encourages others to live as one body in Christ, celebrating one another’s different gifts while working towards the same purpose. Jonathan’s hopeful and joyful music, including his single “God You are Holy,” will be available on March 30th everywhere music is sold, including iTunes and Amazon. You can learn more about Lamon Records, Nashville’s premier indie label, at www.lamonrecords.com and follow Jonathan’s journey at www.jonathantekell.com as well as on facebook, twitter, and instagram.